When you're shopping and you see an item that says it's low in cholesterol, you still need to check the nutrition label. If it's high in saturated fat, it can raise your LDL ("bad") cholesterol. Also check the serving size. It might be smaller than you think, and if you eat too much, you'll get more cholesterol than you realized. Your morning cup of joe just might give your cholesterol level an unwanted jolt. French press or Turkish coffee lets through cafestol, which raises levels of LDL, or “bad,” cholesterol. Espresso does too, but serving sizes are small, so there's less to worry about. If you drink drip coffee, you're in the clear. The filter catches cafestol, so stick to drip. 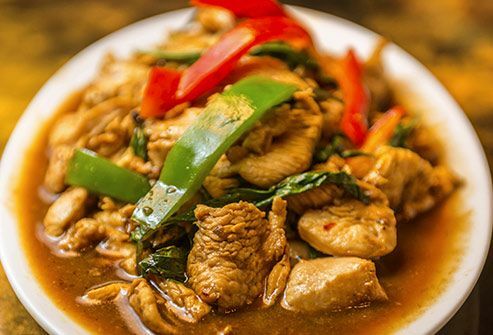 Thai food is spicy and delicious, but it can raise your cholesterol if you don't choose carefully. The secret ingredient? Coconut milk. It makes curries smooth, and it's high in saturated fat. Scan the menu instead for stir fries or noodle dishes, and ask to have your dinner steamed or made with vegetable oil. Choose chicken rather than beef, throw in some extra veggies, and enjoy your takeout guilt-free. Do you hear “granola” and think “health food"? 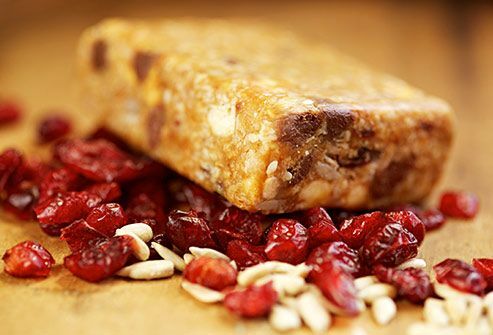 That chewy, crunchy goodness often comes with a hefty serving of saturated fat. 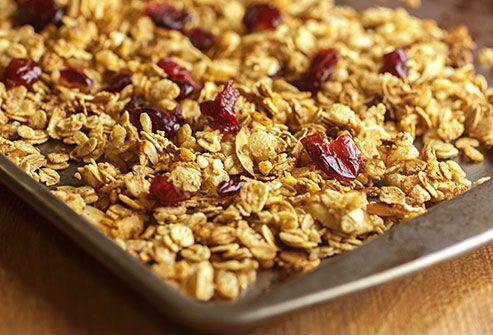 Even brands of “low-fat” granola can be higher in saturated fat than some other kinds of cereal. Eat granola that is sweetened only with dried fruit, honey or maple syrup, and that has at least 20 percent of the recommended daily value for fiber. 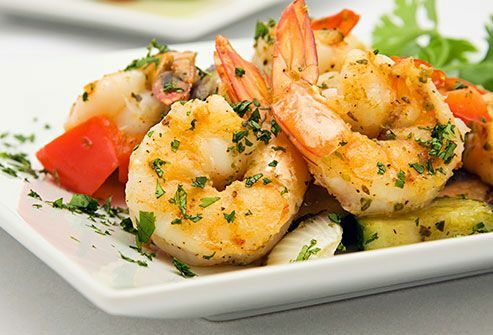 You've probably heard seafood is a good choice when you're watching cholesterol. That's true, but shrimp is an exception. One serving, even if you cook it without fat, has about 190 milligrams of cholesterol. The American Heart Association recommends limiting cholesterol to 300 milligrams per day, or 200 milligrams per day if you have heart disease or high cholesterol. Try the scallops instead. They have less than a quarter of the cholesterol of shrimp. To build a better taco, you have to start with the foundation. Flour tortillas -- even the whole wheat ones -- may sound like the best choice, but they're not. They're higher in saturated fat than corn tortillas. (Assuming you don't fry your corn tortillas in oil, of course.) 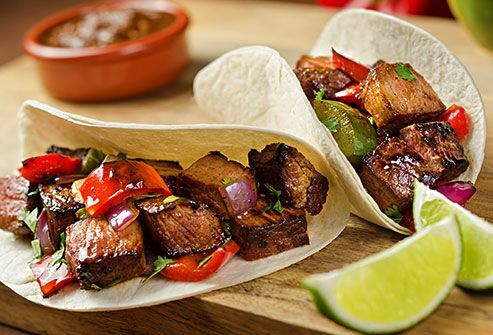 Start with a corn tortilla (check the label to make sure it wasn't made with lard) and add those healthy toppings: grilled chicken, juicy tomatoes, and chopped lettuce. “Nose to tail” eating may be trendy in the restaurant world, but it could leave your cholesterol trending up. 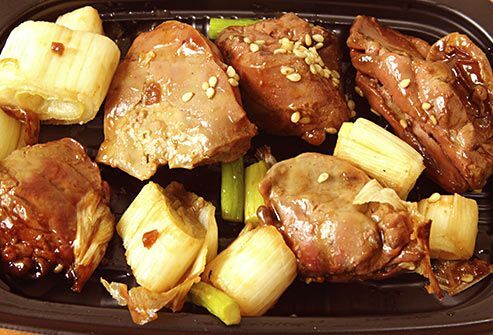 Organ meats such as liver, kidneys, and sweetbreads are higher in cholesterol than other cuts of meat. Beef liver is high in iron, though there are other foods that aren't organs that give you iron. Enjoying a 3-ounce portion once a month is OK. Butter vs. margarine can be a tricky choice. Both have saturated fats and should be used sparingly. 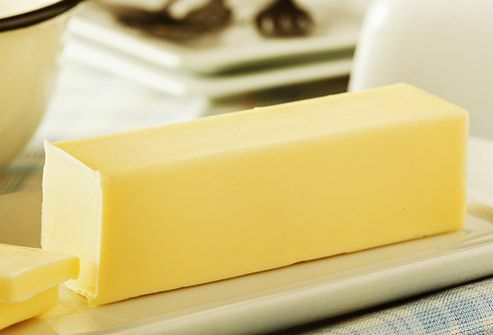 Margarine is made from vegetable oils, so it contains unsaturated "good" fats — polyunsaturated and monounsaturated fats. These types of fats help reduce "bad" cholesterol (LDL). If you're using margarine, choose soft tub margarine rather than the stick variety. Tub varieties are lower in trans fats. 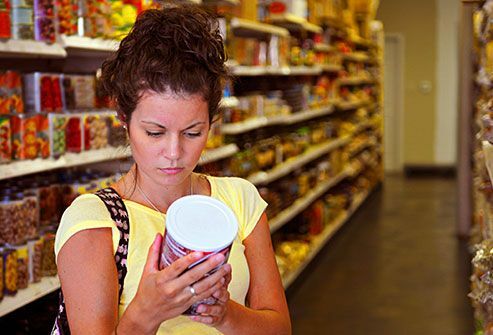 Read the nutrition label, and look for one low in saturated fats and with no trans fat. Butter, on the other hand, is made from animal fat so it contains more saturated fat. The Mediterranean diet is supposed to be good for lowering cholesterol, right? And it is, as long as you make the right choices. Think marinara or marsala, not meatballs, and linguine with clams, not lasagna. But remember, cholesterol isn't the only thing to think about when planning a healthy diet. Pasta is still high in calories and carbs. So even though you don't have to do without, remember to limit the amount you consume. They're marketed for people who work out, so energy bars have to be a good choice, right? Maybe. Check the nutrition label. You might be surprised at the amount of saturated fat in some. Look out for those with tropical oils like palm oil and palm kernel oil, which add saturated fat. Indian food can be a fine choice, but only if you hold the ghee. What is ghee? It's clarified butter -- and that means saturated fats and cholesterol. How much? One tablespoon of ghee has 33 milligrams of cholesterol, about 11% of the recommended daily amount. It's a staple of Indian cooking, so if you're eating out, ask your server how much ghee is in your dish, and if you're cooking, check the recipe to make sure it fits your diet. If chicken and turkey are good low-cholesterol choices, duck should be too, right? Not so. Duck and goose are both higher in cholesterol than chicken and turkey. 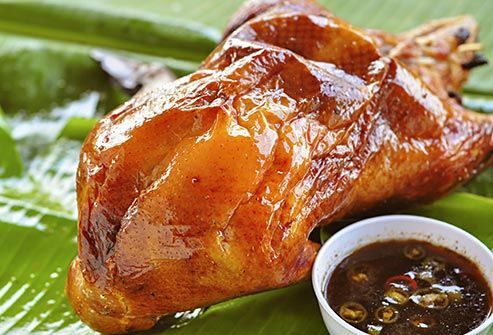 One cup of cooked duck or goose -- even with the skin removed -- has about 128 milligrams of cholesterol. The same portion of chicken has only 113 milligrams of cholesterol, and turkey is an even better choice at 93 milligrams. How many times did Mom tell you to finish your milk because it was good for you? She's right: Dairy helps you get the calcium and vitamin D you need. Just look for fat-free and low-fat versions, which deliver the nutrients without the same amount of cholesterol. You can also switch yogurt for sour cream in recipes to further cut the saturated fat and cholesterol. American Heart Association: "Common Misconceptions About Cholesterol." American Heart Association: "About Cholesterol." American Heart Association: "What Is Cholesterol." Higdon, J. Critical Reviews in Food Science and Nutrition, published online Jan. 18, 2007. American Heart Association: "Tips for Eating Thai Food." National Institutes of Health: "Facts about Cholesterol." U.S. Department of Agriculture National Nutrient Database for Standard Reference. American Heart Association: "Know Your Fats." American Heart Association: "Tips for Eating Mexican Food." U.S. Department of Agriculture SuperTracker. American Heart Association: "Meat, Poultry and Fish." American Heart Association: "Cooking for Lower Cholesterol." 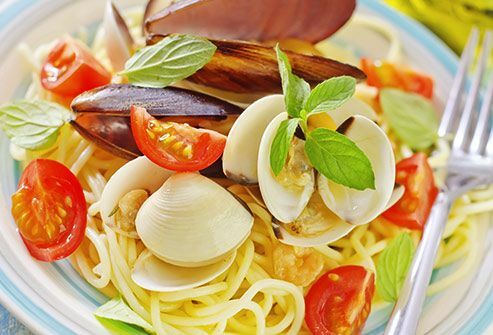 American Heart Association: "Tips for Eating Italian Food." American Heart Association: "Frequently Asked Questions about “Bad” Fats." Nutrition information for Balance Bar Dark Chocolate Coconut. Nutrition information for Luna Bar Nutz Over Chocolate. 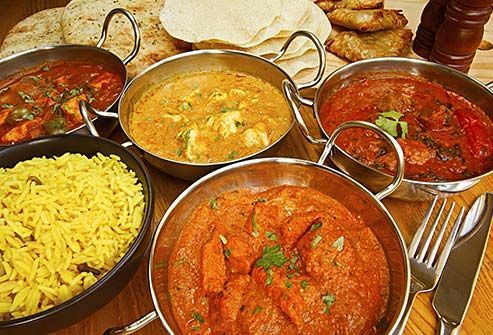 American Heart Association: "Tips for Eating Indian Food." 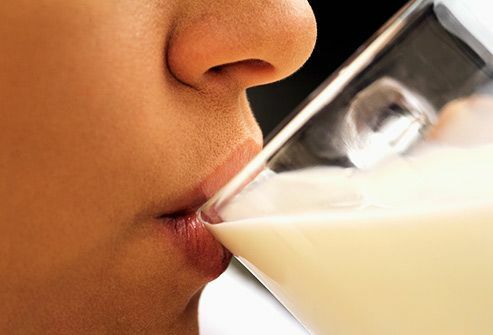 American Heart Association: "Milk Products — AHA Recommendations."